We’re dedicating every Friday to self care - and we want you to join us! We know how busy everyone can be, so we want to give you that little reminder to take some time for YOU. We’ll be sharing with you our personal recommendations and intentions every Friday in our Library to help give you the inspiration you might need to take some time out, give yourself some love and appreciation. Each member of The Merit Club Team will give you their personal view on self care, some of our favourite things and personal intention for the week ahead. You’ll hear from our Founder Krisztina, our Head of Marketing Sarah and our Content Editors Lottie and Iris. Learn more about us here! Take a look at our first recommendations below! Being a freelancer is the dream, but it can sometimes get a bit lonely — especially in winter — so I have a few tricks up my sleeve to keep myself healthy in mind, body and spirit. Hope they help a handful of you. There’s something about the whole cinema experience that takes you out of your head — the smell of popcorn, the dark room, the plush seats, the trailers, and most importantly: no phones for 2 hours! It can be hard to disconnect, but this really does it for me. As for going alone, try it! It’s so liberating, not to mention you can go at whatever time suits you and spread yourself across 3 seats in the empty theatre. To make it less pricey, try a membership at an indie cinema like The Prince Charles in Leicester Square: £10 for a year, then amazing discounts on each ticket. When night falls at 4pm, nothing makes me happier than lighting a lovely scented candle, like a portable fireplace on my desk! 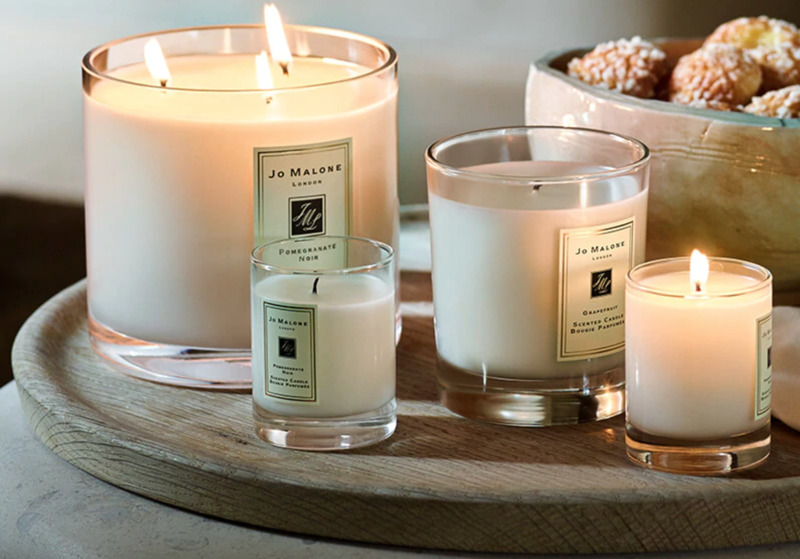 I love Jo Malone’s miniature candles — so worth the splurge. My faves are Peony & Blush Suede and Blackberry & Bay. If you live in London, chances are you’ve moved around a fair bit and made friends around the world — I’ve lived in Paris, L.A., New York and London, and I’m only 23. Sometimes an impromptu video chat with one of my long-distance pals is all I need to turn my day around. Whatever is going on in my life, they know just what to say. A good podcast has the same effect as spending time with good friends. When you find a host and topic that really resonate with you, it can carry you through whatever the day throws your way. Do your research to find your personal faves, but my current obsession is Dolly Alderton’s “Love Stories,” especially the episode with Marian Keyes — great if you’re going through any kind of emotional turmoil! This is hardly revolutionary advice, but few things fix problems faster than English breakfast tea with whole milk (dairy, I know, sinful) in your favourite mug (Cath Kidston or Emma Bridgewater for peak Englishness). We'd love to find out how you give yourself a little self-care. If you upload any of your pics to Instagram, make sure you tag us!